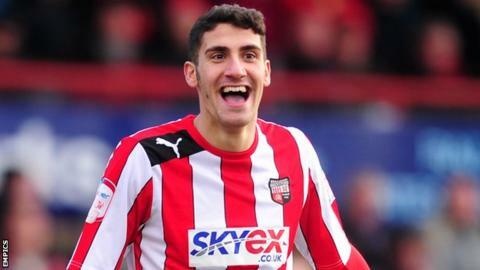 Barnsley have signed Italian striker Marcello Trotta on loan from Fulham until 5 January. The 22-year-old scored 13 times last term for Brentford, helping the Griffin Park side win promotion from League One to the Championship. He also spent most of the 2012-13 campaign with the Bees and has a record of eight goals in as many games during a spell with Wycombe Wanderers. He is yet to make a start for the Cottagers and has not played this term.